International PhD candidates and DBA candidates are required to pay tuition fees at the beginning of each semester. Payment of semester 1 tuition fees is due by the 25th January and payment of semester 2 tuition fees is due by the 25th July each year. Both the Macquarie University Higher Degree Research Office and the MGSM Research Office will contact you, via your student email account, at the beginning of each semester. You are required to check your current debt by logging in to eStudent. If your fees are covered by FEE-HELP, the Research Training Scheme or a scholarship you are also advised to check your current debt regularly as outstanding library fines will be shown as a debt. If you are a FEE-HELP student, your debt will be deferred in due course. Macquarie University has a policy that students who pay late (i.e. ; payments received after the due date) will be liable for a $200.00 late payment fine. (Macquarie University Calendar of Governance, Legislation and Rules - 2006). If you are unable to pay your tuition fee by the due date please complete the MGSM Fee Payment Extension Request Form and submit it to the MGSM Research Office before the due date. If you are granted a fee extension or a fee instalment payment plan you will still be liable to pay the $200 late payment fine. 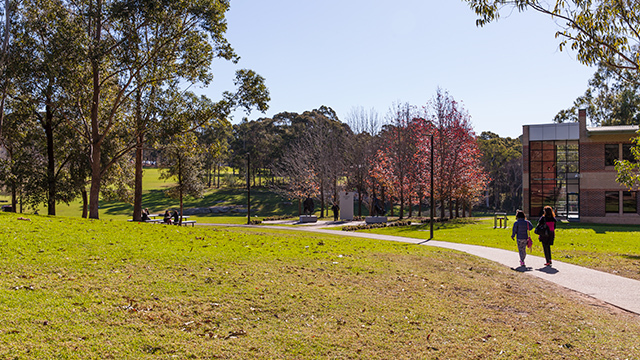 Further information regarding tuition fees is available on the Macquarie University Office of Financial Services website. The details of your student account are available in eStudent. The link 'View my current debts' will display all of the amounts currently outstanding on your student account. Please note any overdue amounts are shown in red. If you are a FEE-HELP student, your debt will be deferred in due course. Tax Invoices will not be mailed to students as your Statement of Outstanding Charges is now available online in eStudent. You may view your Statement of Outstanding Charges in eStudent from ‘Check My Finances/Outstanding Debt’. Click on 'View my current debts' and then 'Email my Statement of Outstanding Charges'. A copy of the Statement will be emailed to your student email account. In the first half-year your Statement of Outstanding Charges will show all unpaid amounts (including old debts) up to 30 June. From May any amount with a due date up to 31 December will be displayed. If you have fees due on different dates, check for the total amount owed on each due date in the Due Date Summary at the bottom of your Statement of Outstanding Charges. You may pay your student account using Visa or MasterCard via the University's online payment facility in eStudent/My Finances. You may pay your student account using Visa, MasterCard or American Express via the University's payment facility. Please ensure that you print and keep a copy of your receipt. You may make a payment using Visa, MasterCard or American Express by phoning 1300 301 043 (for the cost of a local call within Australia). This service is available 24 hours a day, 7 days a week. Please have your student ID, credit card number, and a pen ready to record your receipt number and date paid. You may take your Statement of Outstanding Charges or Invoice to the Fees Officer, MGSM Student Services Centre, MGSM North Ryde Campus, Monday to Friday 9am-5pm. You may pay via EFTPOS, MasterCard, Visa, American Express, cheque or money order. Include your full name and student id number in the remittance advice.